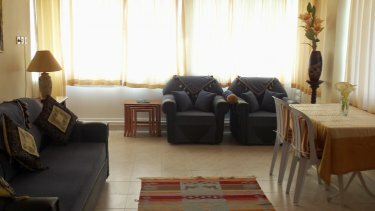 Gunluk house,(upstairs)large, spacious,well equipped and comfortable,everything you need for your holiday.Sleeps 8. 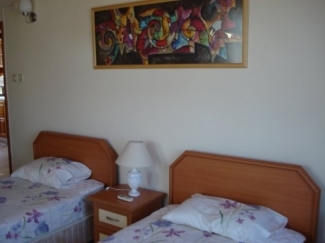 Privately owned and managed.Owner will be there to meet you on arrival, show you round the property and offer any assistance you require during your stay.Gunluk house can also be rented with Gunluk cottage (6771) close by. It is situated in Gunlukbasi a Turkish village only a 5 min bus ride away from Calis beach but is in the real Turkey where you can watch the world go by.It is not on a complex,has private parking and its own gardens and private terrace, where you can have a bbq or sunbathe. 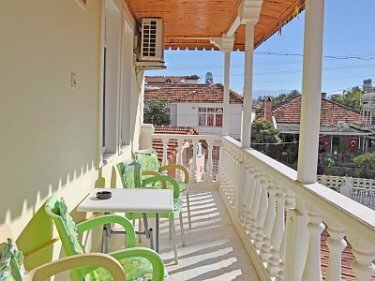 There are 2 balconys to the back and front of the house,both with mountain views,Babadag mountain ,you can sit and relax and watch traditional Turkish life. 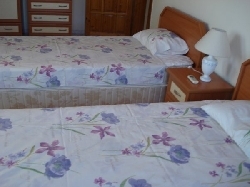 The 3 spacious bedrooms have 1 kingsize,1 double (with ensuite) and 3 single beds,with village and mountain views. 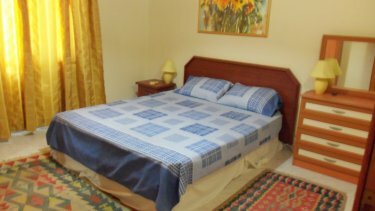 .There is lots of storage space for all your belongings,traditional Turkish kilim carpets in all the rooms. The shower rooms are large,(1 ensuite)they were renovated and newly constructed in 2012,beautifully tiled and finished.Teracotta and shades of blue,new in 2013. The new ,modern kitchen fitted in 2013, is fully equipped for all your catering needs,with plenty of room to work in.Washing machine,dish washer and fridge freezer in kitchen also.The kitchen and living room are open plan so there is plenty of room for relaxing or dining. The living room has a dining table for 8 and sofa bed which sleeps 2,it has the front balcony leading from it.There are lovely views of Babadag mountain.T.V. selection of books,games and D.V.D,s available. The house has air-conditioning which can be hot and cold and a water heater (in the ensuite,) so always a supply of hot water. Although no pool you can use the hotel's, 1 min walk away.The pool is huge and rarely busy and the hotel does inexpensive traditional Turkish food. The garden is private and you can bring in your car for private parking.Have a bbq in the garden ,sunbathe or read a book on the new terrace. The local shop is only 30 secs away or supermarkets and authentic inexpensive Turkish restaurants are only a 5 min walk away.The local bus which goes every 5 mins to Fethiye and Calis beach is only a short walk away.Weekly Sunday market 5 min walk away. Calis beach always has a cooling breeze and you may see a turtle or dolphin.There is a selection of restaurants,bars and shops. Fethiye a Turkish working town is 15 min by bus.Fabulous harbour,large range of shops,bars and restaurants. Olu deniz or the famous blue lagoon is 20 mins away by car where you can swim in its turquoise waters or lie on its golden sands. There is a wealth of historic sites close by Xanthos,Patara,Kaya koy deserted Greek village and Efesus to name but a few. The prices above are for 6 people, please contact me for less or more people and i will give you a price. �100 damage deposit is required,refundable if house is left clean.tidy and no damage. 100 units of elecricity per week are supplied(this is a lot)if more is used it is charged for. Please ensure you have adequate travel insurance as Turkey does not have public liability insurance. Dalaman airport is 45 mins away,i can arrange transfers for you or car hire.